and expectations like real-time scalability to handle dynamic traffic bursts. 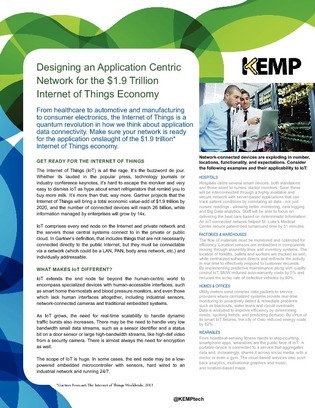 So, how can you build your network infrastructure to handle IoT? Learn how dynamic application delivery is an essential component in the design of LANs, private clouds and public hosting platforms to adapt to the growing number of IoT devices without impacting performance.